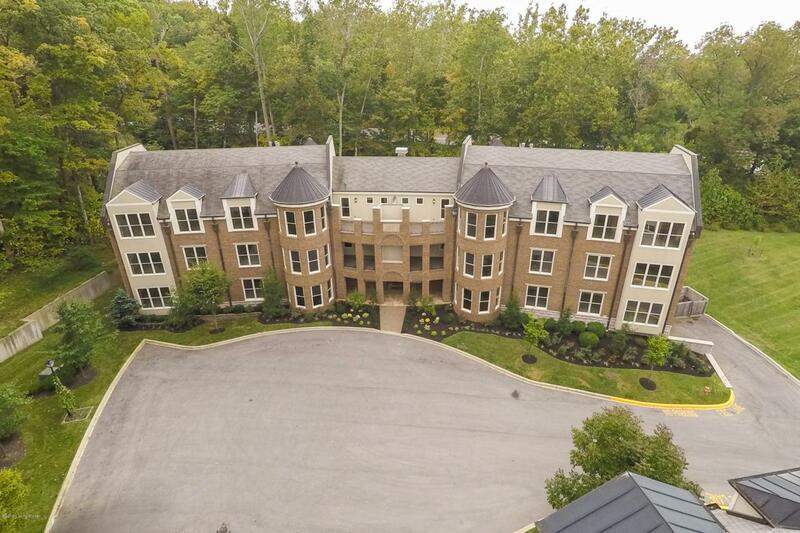 This Luxury 3 Bedroom, 2.5 bath Condo located in the desirable community of Prospect, KY is a must see! 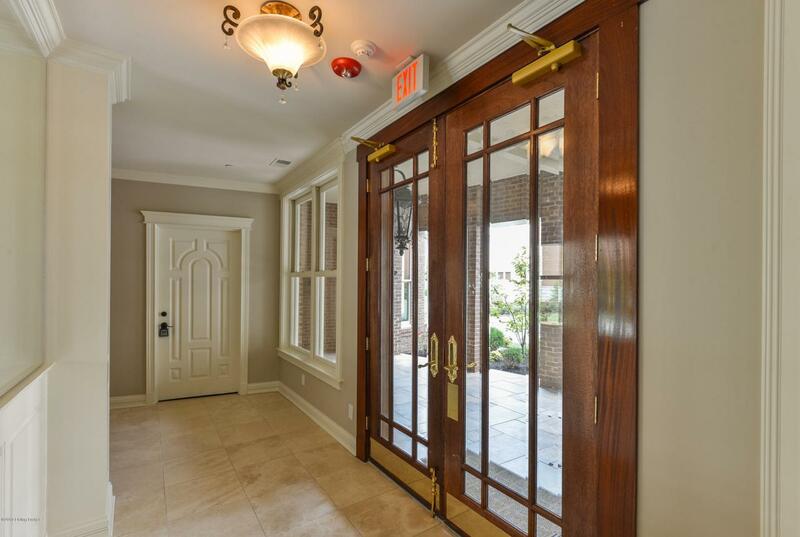 Entry to the building features double doors and a lovely entry with marble flooring. 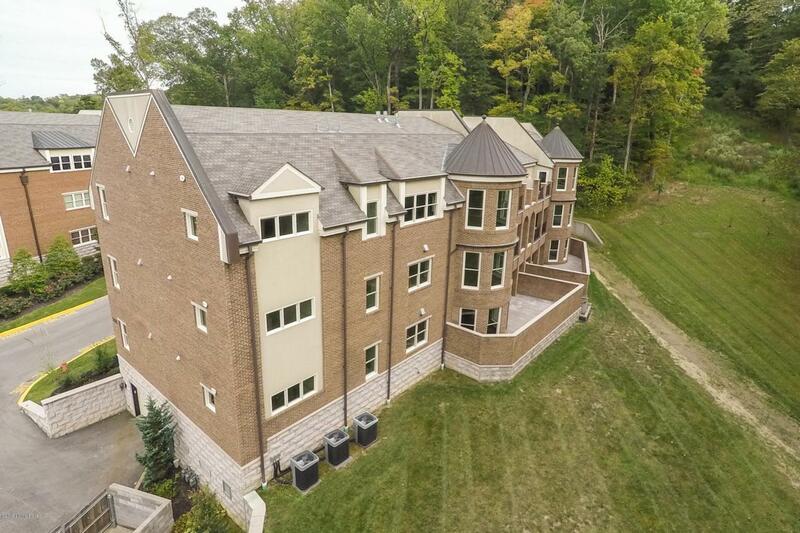 This First Floor Unit boasts 10 ft ceilings and all of the characteristics you would expect in a luxury home. A beautiful open floor plan and large private patio make it the perfect space for entertaining family and friends. The kitchen is a chef's dream, featuring upgraded cabinetry, high-quality pull out drawers, a large center island, an abundance of counter space on beautiful granite countertops, a 5 burner gas stove, stainless steel appliances with two refrigerators, and a refrigerator length wine cooler. The beautiful bay window in the great room allows in an abundance of natural light. A gasfireplace and built-in bookcases complete the room. 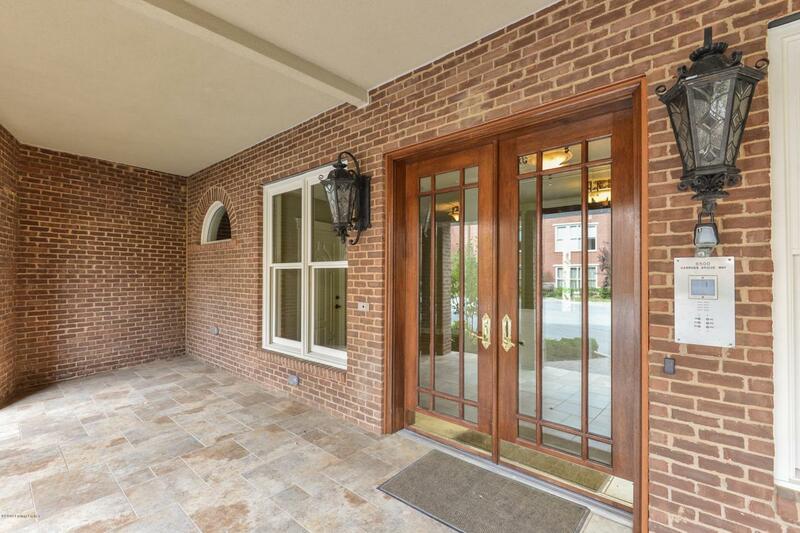 The main living space and half bath feature beautiful hardwood flooring. The spacious Master bedroom features lush carpeting, custom built-in cabinets spanning the full length of one wall and two large closets. The Master bath features tile flooring, an oversize tub, walk-in shower and double vanities. A private two-car garage in the Lower Level offers additional storage and the convenience of elevator access to to the unit.